Fall is the time of year when we really begin to take advantage of Nature's bounty. 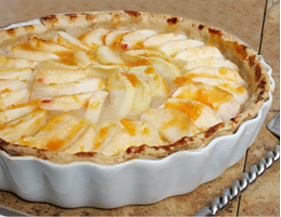 This season, you can put your garden fruits and vegetables to good use when you prepare a variety of tasty recipes featured on RecipeTips.com-and our huge selection of "how to" articles will provide you with everything you need to know to cook like a pro. 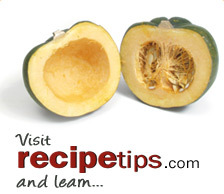 With a light brown sugar glaze, the flavor of this squash really blossoms! Loaded with vegetables and mushrooms and cooked in a velvety sauce, this tasty chicken dish is served over orzo pasta for a complete meal. With just the right blend of spices and apple butter, this apple butter cake will be a family favorite.